GAP insurance is a confusing level of cover. If you already have a comprehensive insurance policy with another provider, then why would you need GAP insurance too? Having your car written off or stolen is an unfortunate and stressful situation to be in and finding out that your insurer will only pay out the value of your car in the current market, may sometimes mean you are out of pocket and having to find a large sum of money to foot the bill. Many people are unaware of what gap insurance is and how it could potentially protect them should an accident occur. Here are the top 5 myths about GAP insurance. Why is it called GAP? GAP stands for Guaranteed Asset Protection rather than being the gap between your purchase price and your cars current value. It can be bought as an add-on to your existing policy to give you more protection. 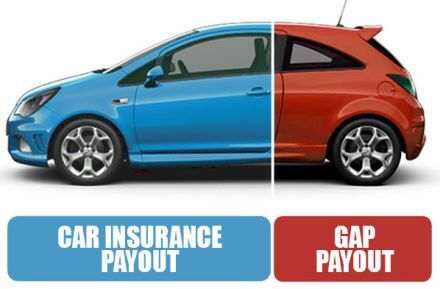 GAP insurance actually spans across five different levels of cover. Finance – The most basic level of cover and covers only the outstanding finance left on your vehicle. Return to invoice – This cover pays the different between what your car originally cost and what your insurance company is going to pay out from your comprehensive car insurance policy. Handy if your vehicle is written off. Vehicle replacement – This level is the most expensive option and gives you the money to buy a new version of your car if it’s written off or stolen. Return to value – Offers cover up to the value of the car when you purchased it. This is ideal for those who have bought an expensive used car. Lease – If you have leased a car, this covers the rest of the contract costs and any early settlement fees if the car is stolen or written off. This is very much a myth. GAP insurance is often offered to you when you purchase your car from the dealership, but it doesn’t mean you have to take it with them. Specialist companies like ALA offer great rates and their team will discuss the best options with you. Did you know that dealers aren’t legally allowed to sell GAP insurance on the day they sell you the car? They also have to make sure you know you can get cover elsewhere. What you may find is that your insurance company offers “new vehicle replacement cover” within the first 12 months of your policy. If you are in an accident after the first year and your car is written off, you’ll only get the market value of your car. This is highly likely to be much lower than the car’s value when you bought it due to vehicle depreciation. Fortunately this is a myth. Yes GAP insurance is often aimed at newer cars as they depreciate in value much quicker than a used car. If you car is less than 5 years old and has under 50,000 miles, you’ll be able to get GAP insurance, and we’d recommend you look into it to see if it’s right for you. There are many reasons to seriously consider getting yourself GAP insurance, from making sure you’re financially secure should an accident happen to giving you peace of mind that you won’t be out of pocket, GAP insurance is ideal for those wanting a little extra protection.